I didn’t cut my hair. The answer to that question is not simple. Well, technically, it is. The actual answer is “washed it.” But to say that opens up way more questions and I have production reports to print out and copy. Aww, haven't an allusion to Rob Schneider in forever! Those are still relevant, right? These questions also present one of the trickiest things about being a dedicated Oreo. No matter how many show-jumping ribbons you’ve won, you are still have to deal with maintaining, and explaining, what’s going on up there. So I’m devising this FAQ to hand out whenever my hair changes. Feel free to print it out and pin it up on the wall for easy reference. If you are an Oreo yourself, consider these talking points. Q: So…did you cut your hair? A: Nope. Oh! 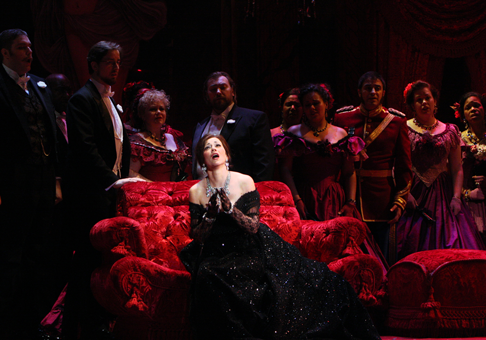 Did you see La Traviata this weekend? Just gorgeous!! Truth be told, I was hoping to see Die Zauberflöte. Q: Huh. It looks different. A: It kind of has a mind of its own. And how hot was it Saturday? I could barely enjoy that Farmers’ Market at the Marina. And now my mangoes are totally overripe. It hurts me to squeeze them. Q: …was that some sort of euphemism? A: Not at all. I’m just really bummed about how tender my beautiful, gorgeous mangoes are now. I mean, just look at them. 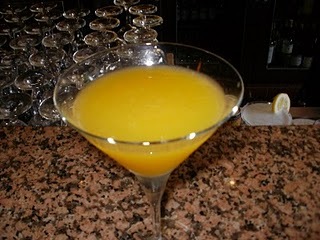 Ah well, when life gives you bad mangoes, grab some vodka and turn that sh*t into a 'tini. Q: I don’t think that’s appropriate. A: All right, well, I’m taking them out at lunch if you want to see. Q: Well, whatever you did to it, your hair looks great. Q: So…what did you do to it? IF THIS CONVERSATION IS HAPPENING AFTER A RELAXER…. A: I got it done. Q: Oh… What does that mean? Here’s where you have a choice. You can either say: “Well, I spent two hours having white goop spread on my scalp to make all those annoying tight little curls go away.” But again, that brings up a lot of technical questions that really take some time to get into and those production reports are not going to print themselves. A: I just… get it…straightened. Q: Ohhhh, so your hair isn’t naturally straight? This is a dumb question. By and large, black people hair is not naturally straight. But it’s one that a lot of people ask. And once it’s asked, the floodgates tend to open. If there’s anyway to stop talking at this point, do it. Fake a seizure, have someone call your cell phone like you’re on an awkward first date, start bleeding. If you can’t reasonably get out of it, play along. You’re a good Oreo after all and to act embarrassed or self-conscious or irritated that people can’t just leave your hair alone would just make you look all uppity. Q: So, if you just grew your hair out, what would happen? A: It’d just get big. Q: Like would you have…? Q: You know, I kind of think those little afros are cute. Have you ever thought about growing one? Q: Really because [random celebrity of color] has one and she looks really cute. A: Oh really? Well, have you thought about making a bow out of blonde extensions and putting that on top of your head? Note: Don’t do this. Oreos are sweet, kind, accommodating people. We do not make points or draw attention to gaps in logic. A: Huh, I can’t picture him/her right now. S/he wasn’t in Terrence Malik’s latest, right? IF THE QUESTIONS DO NOT COME AFTER A RELAXER…. Q: So what did you do? It looks… fluffier? A: It just starts to get curly again? Q: Oh, so your hair’s not naturally straight. And there you have it. Though sometimes, you’ll get a few other questions. A: Eh, I’m really weird about personal space. Q: But c’mon, we’re making out. And I’m already touching your pretty pretty face. Can’t I touch your hair, gorgeous? Q: Have you ever thought about extensions? A: Every day of my life. Black hair is really difficult, time consuming and expensive to manage. You have to either buy specialty oils to keep a natural ‘do looking good. Or you have to spend hundreds of dollars to get your scalp burned off once every 6-8 weeks. Or you have to spend more hundreds of dollars to have someone else’s hair sewn into your scalp. And also you have to answer questions like these on the regular. Q: How do you wash it? A: With a very delicate regime of shampoo, conditioner and water. Q: Did you see that documentary Chris Rock did, Good Hair? That was really interesting. A: I’m not really a Chris Rock fan. Q: No? I think he’s so funny! I love his stand up. A: I mean, I would turn down a ticket, but I’d rather go see Eddie Izzard. If you don't get the joke on this button, go Google it right now and watch the brilliance that unfolds before you. Don't worry, we'll be here when you get back. A: Agh, I hate to cut you off, but I have got to get these production reports done, put these mangoes in the fridge and find someone to frame this dressage certificate. The one good thing about black hair care is that it’s all pretty painful. Relaxers burn like fire, pressing burns with oil that feels like it’s on fire and extensions are woven so tight you get an instant face lift. It’s a little bit of perfectly reasonable self-punishment to bring absolution like fasting or the Silas belt from The Da Vinci Code. But you do have to choose wisely and pick the pain that’s right for you. Use this primer to weigh the pros and cons and tell us what you think! And as you know, we love awkward situations here at The Oreo Experience. Whether it’s a a fancy engagement party or during a hike to the Hollywood sign, embarrassing moments are awesome. What are some of your best cringe-worthy stories? Let us know in the comments! And I’m not saying I didn’t trust you to look up that Eddie Izzard bit. Buuuuut, just in case you didn’t. Voila! God, the Chris Rock question… “So is it true? Tell me about blah blah blah.” a) didn’t see it, so you can answer your own question, b) please stop talking. I’m a step closer to starting my half-black blog now, cheers! lololol…I lol’d 🙂 This is so brilliant….especially the part where you’d rather seize up and shed blood than talk about your hair not being naturally straight. lol. 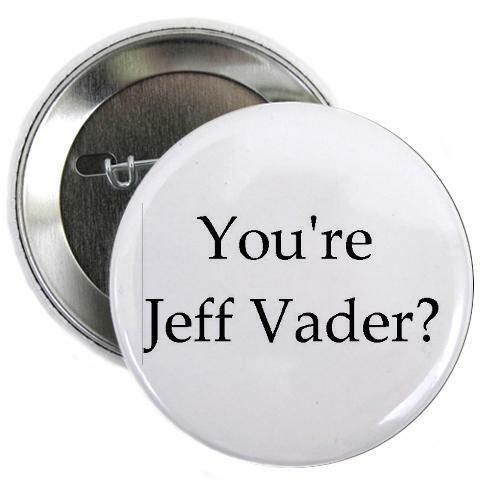 And I loved the Jeff Vader bit… doubled the lol’s! My hair is thick and coarse but it does get unbelievably straight and fine with the flatirons. Just this past friday, I ordered ‘The Ultra Black Hair Book ll’ and a set of the hair care products.